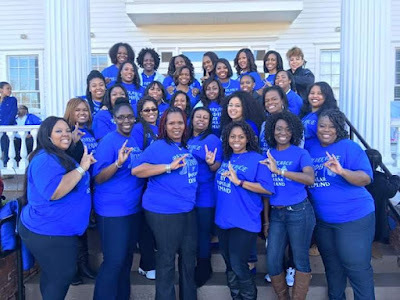 The Remarkable Rho Xi Zeta chapter honored the legacy of the Five Pearls of Zeta Phi Beta Sorority, Incorporated by engaging in activities linked to the principles of Zeta. 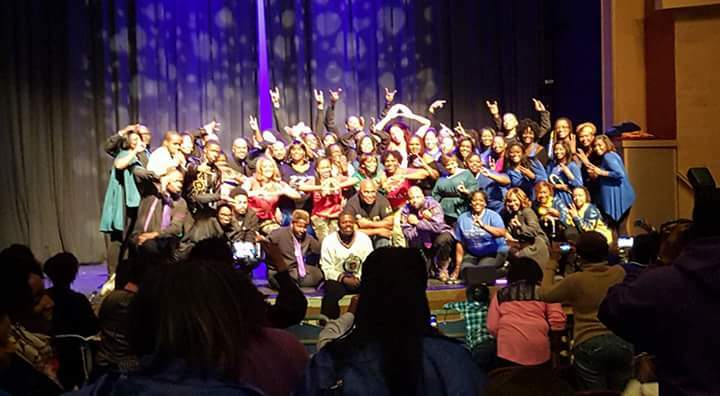 To kick off the weekend of events, the chapter participated in the Cobb County NPHC's Martin Luther King Step Show. The show held on the evening of Friday, January 15 2016 was an exhibition show to benefit of the community and to raise money for the Cobb County NPHC’s SCHOLARSHIP fund. Additionally, each participating organization received $1,000 toward their scholarship fund. 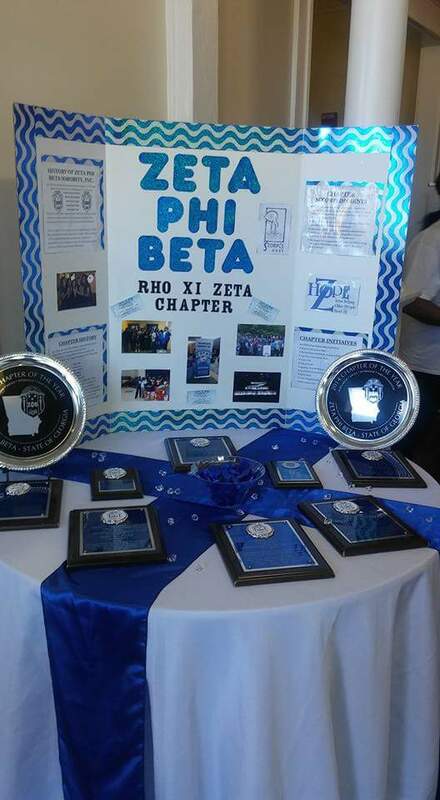 Rho Xi Zeta and Rho Epsilon Zeta shared gift. At noon on Founder's Day, the chapter hosted the Fourth Annual signature event "Taste of Blue," honoring the principle of COMMUNITY SERVICE. 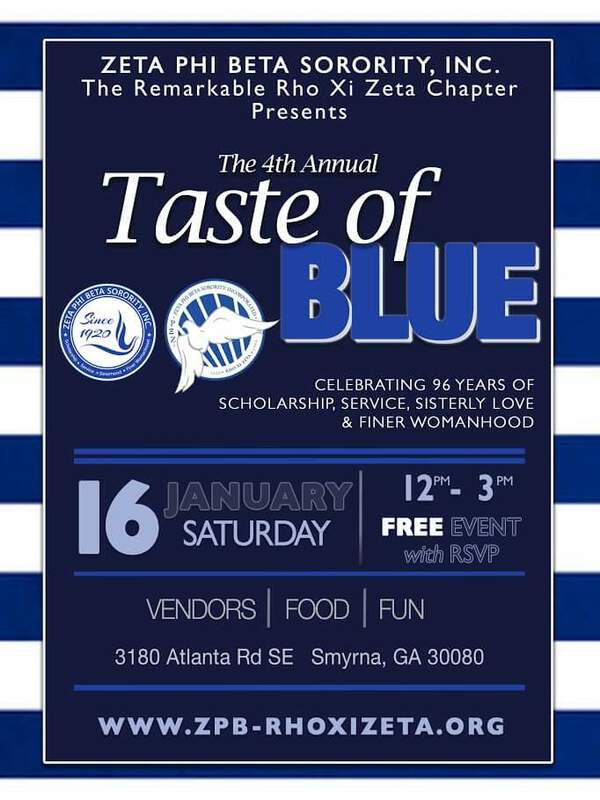 The event is free to attendees with a minimal charge for vendors. 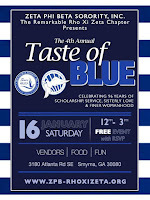 Attendees to this noteworthy event can expect vendors offering services that nurture the mind, body and soul. Attendees may find for example, personal trainers, massage therapists, certified therapists, and self-defense to name a few vendors. A Disc Jockey provided the tunes to keep the atmosphere celebratory. 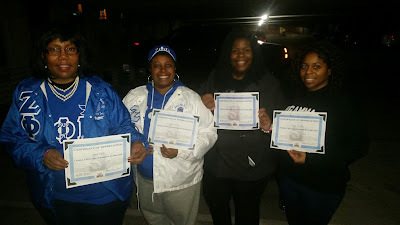 Sorors in attendance had the opportunity to stamp their passports as part of their centennial journey. At the conclusion of this fabulous event, the chapter met at Pappadeaux’s restaurant to celebrate SISTERLY LOVE.